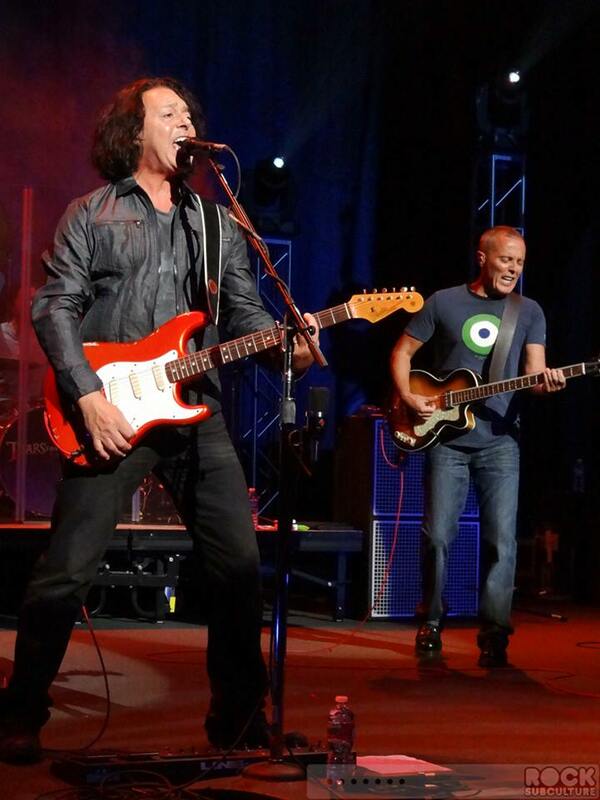 Tears for Fears Taking the World by Storm in Tulsa! We had our wonderful core travel fan team on the ground for this show, first one on the 2017 tour. You can hear several of the group screaming with delight in one of the videos and it’s soooo nice. Again, this was the first show on this 29+ city visit and it was awesome! It’s so hard to write these recaps of shows as each year passes because the excitement grows beyond anything one can ever imagine. We are appreciative of the time and energy put into every concert by the band and the fans who travel alongside in support! Many thanks to Silver Kitty for snapping photos and providing visuals of the experience! Huge thanks to Bobby for driving! Carolyn and Becky Boom Boom for logistics and rentals! It’s all team work!! Huge thanks to all of our fellow travellers who fly great distances to scream and shout their admiration throughout nearly every performance. We did a calculation and believe it or not, if you’re going to each show, paid the VIP ticket price, add airfare plus hotel fees …then you’re spending $20,000+ USD. That’s a lot of love to say the least! There are many that are doing 2-4 shows and THAT TOO is a A LOT! You are loved and deserve a fan conference! Please continue to follow along via @papasfans for recaps of our fan experiences! 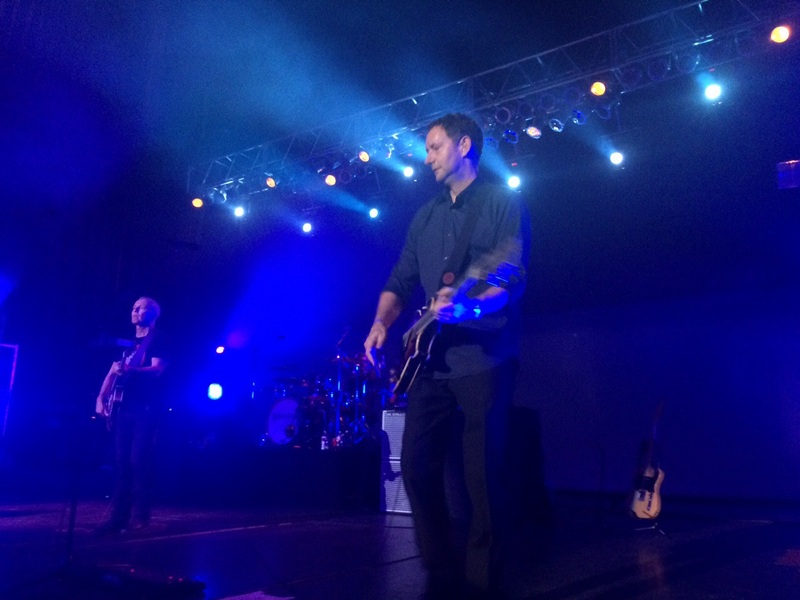 Plenty of shows left to go… We’ve got footage and shares from a ton and will post as we go along. So much to upload! *photo credit – Silver Kitty CD! 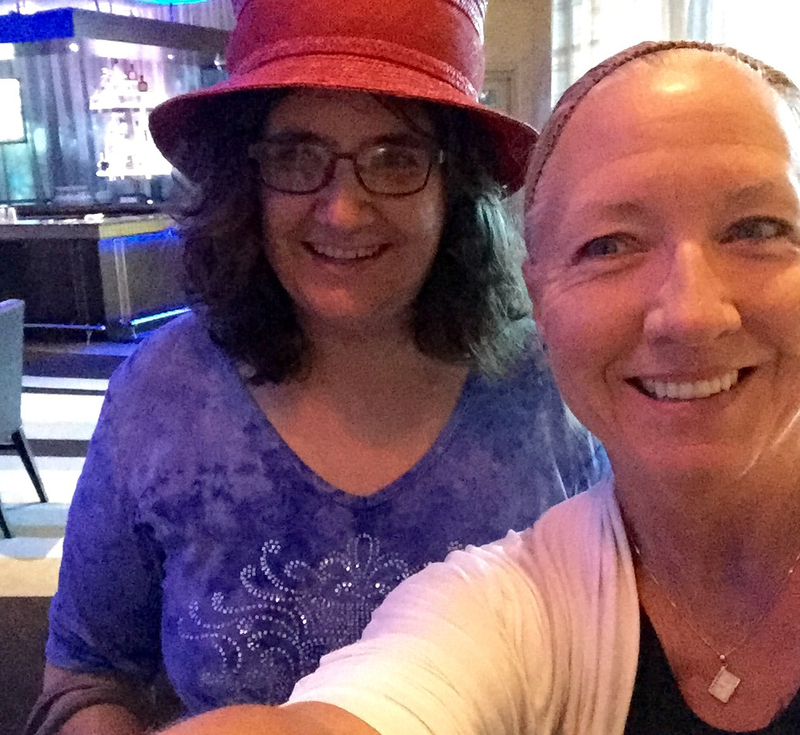 I connected up with SnapHappy Pam, who takes great pictures and videos of bands, for the TFF show in Chandler, Arizona. She was gracious enough to pick me up at Sky Harbor International Airport. I was highly concerned about the heat that day, as it was expected to get up to 115 degrees Fahrenheit!! Pam and I also had our work cut out for us, as we needed to find a birthday card for Curt Smith, and gifts for both Curt and Roland Orzabal. We found some nice gifts at the Arizona Mills Shopping Center, but we were still on the search for an appropriate card for Curt. Pam decided to stay in the car as I went to find a card, stating that she “trusted my judgment”. No pressure, right?!! Well, I finally found a card, and after a little issue with gift bags, we were on the way to the hotel. After checking in at the hotel and getting ready for the concert, we made it to the venue about 5:30 p.m. It took us a little time to actually wind our way back to the Ovations Showroom. The actual theater is adorned with beautiful ornate glass door panes. We looked into the doors of the venue, and guess who we saw on stage? 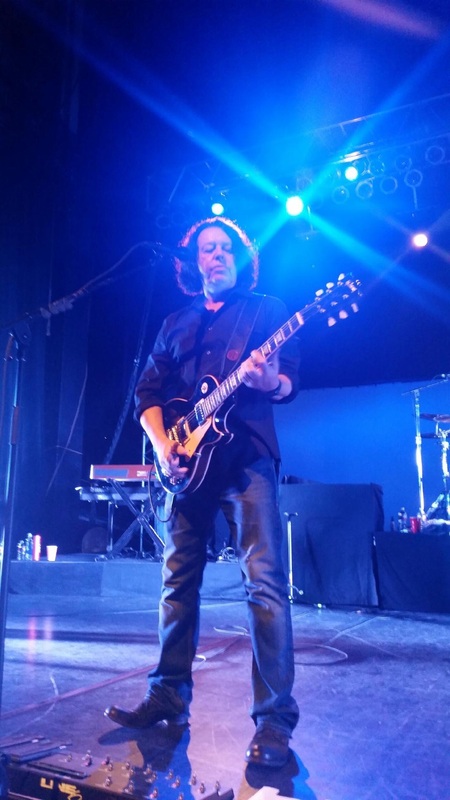 Roland Orzabal was working on his pedal settings while tour and venue management looked on from the back of the venue. 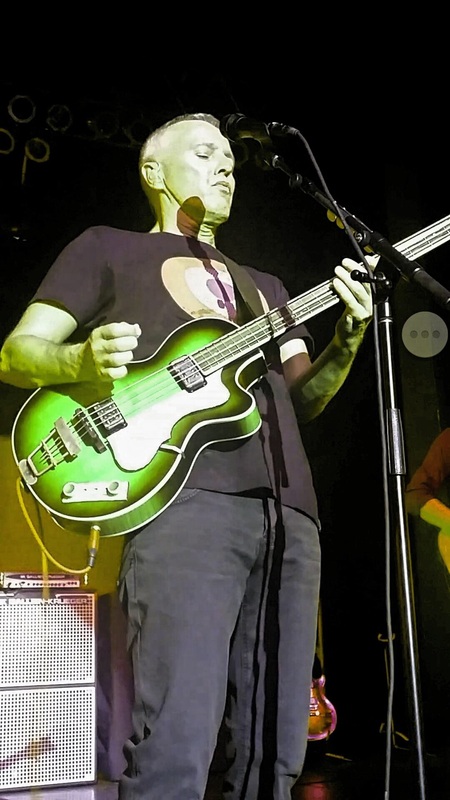 We peered closer, and Pam pointed out Curt Smith to me; he was also monitoring the sound check at the back of venue. 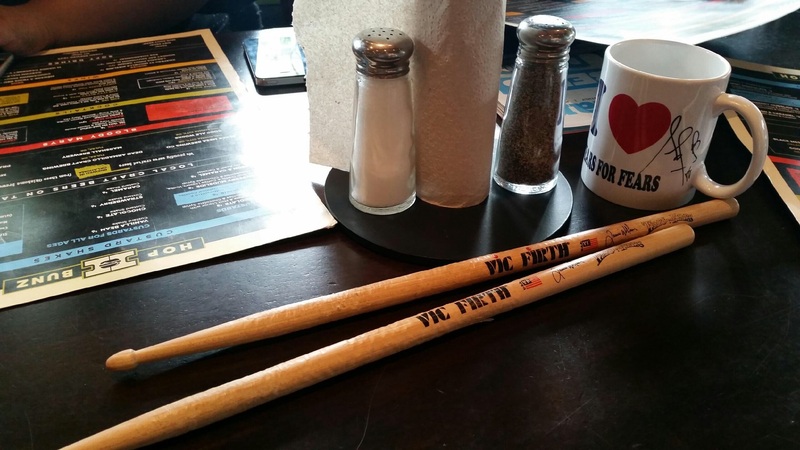 After a couple of minutes of viewing the sound check, and talking to other fans that were now congregating outside the venue, we went on our way to find something to eat before the show, and to try to find the band’s tour bus. Pam held our place at the lounge, while I ventured out to locate the tour bus in heat that made me feel like I must be searing my eyeballs. I found the bus after a several minute walk, and it didn’t appear there was anyone on it at the time, or maybe the crew were all sleeping? Being as discrete and respectful as possible, I quietly made my way back to the lounge. As I still was on the search for some decent food, I was starting to feel faint at this point. I discovered that the lounge located in front of the theater didn’t serve any food, so I needed to find the take-out line for the restaurant. 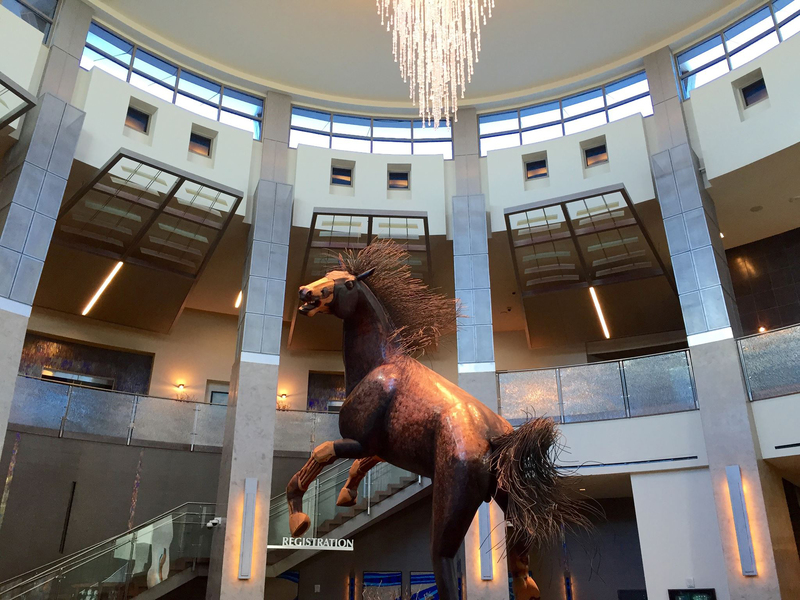 At this point, I was in a maze of a daze; it was very easy to get lost in this casino, because there are many interweaving lounges and restaurants, even though it’s actually a rather small complex. After finding where the casino had take-out food, and then after a decent time in line, I was finally able to place my order for a spinach salad, but was told it would take twenty minutes for my order to be ready. Now I realized we needed to get the gifts back to the boys, as time was running short!! I was finally able to get in touch with the venue’s entertainment manager, Jason, on a tip from Andye, and he was gracious enough to run our gifts back to Curt and Roland. Meanwhile, Pam was having fun taking pictures of the beautiful artwork and ornate lighting fixtures all around the interior of the casino. The doors opened promptly at 7:00 pm, and we were told by the ushers that we could go back and forth to get food and drinks, which I thought was so GREAT, as I still hadn’t picked up my food order. It was now only half an hour before show time, and I was HUNGRY. Pam was smart and had grabbed something more substantial to eat while at Arizona Mills, while I was sustaining myself on the banana I’d had for a snack hours ago. I finally retrieved my salad and then preceded upstairs, as my seat was in the balcony, while Pam’s seat was downstairs. This turned out to be a pretty ideal situation, as I loved the view up top, while Pam liked the feeling of solid ground underneath her, and it gave her a great vantage point to take her wonderful pictures and videos. When I got upstairs, I was pleasantly surprised that there was a lounge up there with a beautiful view of the surrounding desert. I delved into my salad and discovered it had an eye-popping freshness with its delicate greens, sweet strawberries, and juicy pieces of chicken. While I savored the fresh cracked pepper that lingered on my tongue, I marveled at this amazing venue, the circumstances of how I got here, and the show I was about to see. I got to my seat in the very last row of the balcony and took in the view—it reminded me of the Dorothy Chandler Pavilion in the L.A. Music Center—and I felt as if I were floating over the stage. Carina Round took the stage to a house that was still only over half full. Her beautiful, soulful, and rustic-tinged voice filled up the hall while people were still talking over her—argh, grumble, grumble! I was singing along with her when I realized most of the people around me didn’t know the lyrics to her songs, which made me kind of feel out of place. I went to the restroom and her voice and guitar filled up the ladies room as well. Carina’s set included a newly added song called “Backseat”. 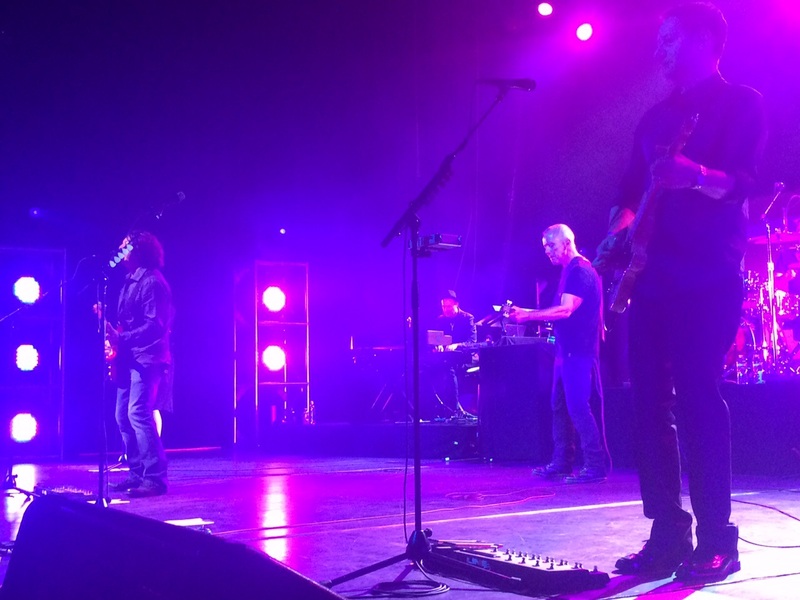 Curt Smith’s ethereal voice could be heard offstage, and then he came on stage to sing the last stanza of the song with her. During the fifteen minute break, I went downstairs via the elevator to see if I could chat with Pam for a moment. (I think it’s marvelous that security let us go up and downstairs, allowed me to bring my almost empty gift bag with me into the theater, and surprisingly didn’t check our bags either.) I wasn’t able to locate Pam, so the security guard started to give me a hard time about being down there; he gently reminded me how much time I had left before I headed back upstairs. 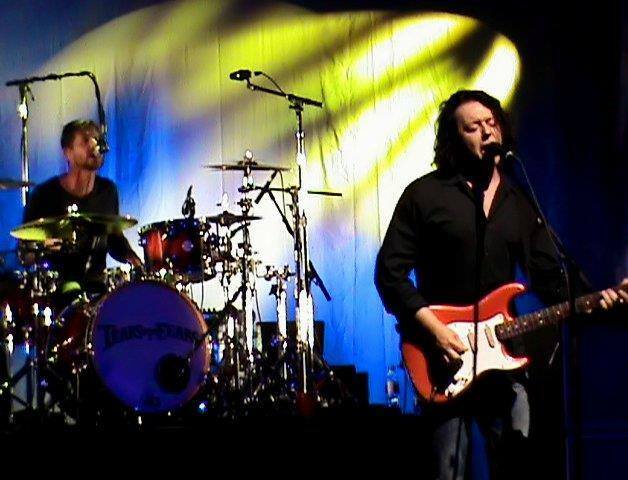 Tears For Fears opened the show with Lorde’s version of EWTRTW before coming on stage, which created a heightened space for the show. It’s beyond comprehension that while this was the fifth time I’ve seen TFF perform, I felt as if I were hearing them for the first time. They sounded so tight, the separation between the parts was incredible, and it never ceases to amaze me how they stay true to the original recordings of their songs, while imparting a new energy each time they tour. 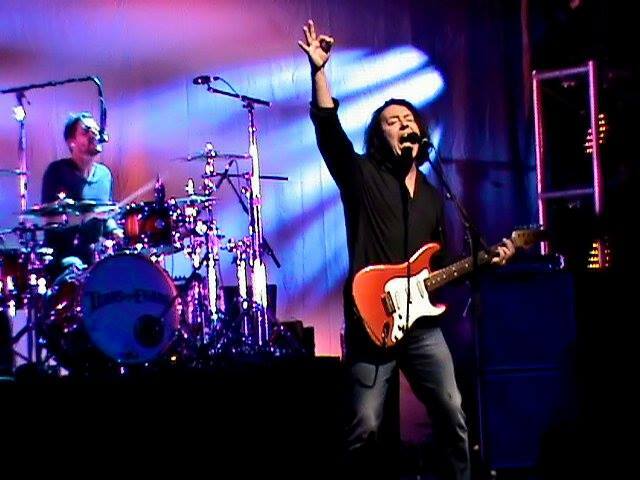 Since I was ‘hovering’ over the stage, I had a great vantage point where I could see all of the fingerings and chords for both Curt and Roland. I also saw exactly what Jamie Wollam was doing, except for his pedals, which I could hear quite well. I was standing up, singing, and dancing to all their songs. I couldn’t help thinking: unless one is not physically able, how can one NOT dance to Tears For Fear’s music? It is dance music, correct? I was trying very hard not to annoy my fellow concert goers, while cheering, screaming operatically, and waving to both Curt and Roland. It was pretty hilarious, if you ask me! There were only a few downsides of this show from my seat in the house: the mix was heavy on the bass and drums, people talked during the entire show, and the bar ought to have cut people off earlier, as there were some pretty drunk fans by the end of the concert. It seemed to me that Jamie Wollam was putting on a drum clinic, and Roland was giving a master class on opera singing at times. 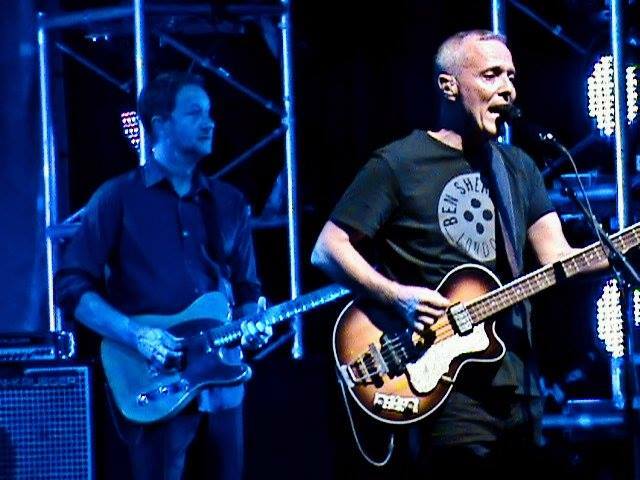 With Curt’s beautiful vocals and precise bass playing, Charlton Petuss’s sweet lead guitar, and Doug Petty’s wizardry on the keys, anyone that sees Tears For Fears perform live is in for a real treat. Highlights of the show included, “Sowing the Seeds of Love” which sounded very fresh and tight to me, “Change”, showcasing their consummate technique, and when Roland’s voice opened up on that last line of “Creep”. I found myself thinking, ‘Why is this dude NOT singing opera—seriously—as he definitely has the vocal chops for it? !” The definitive highlight of the show was Roland recognizing me, making eye contact, and then flashing me the greatest smile. As Roland sang the line, “I hope we live to tell the tale” in the encore, “Shout”, I realized why I was meant to be there…I also had finally “lived to tell the tale”.